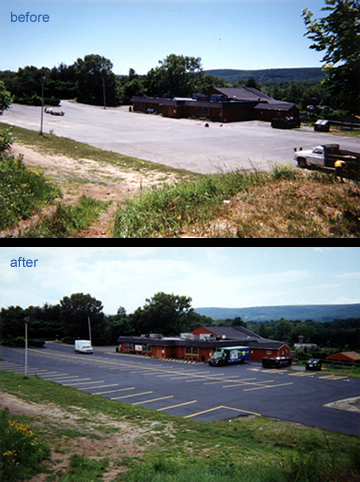 Parking lot seal coating in connecticut and CT street sweeping, Curb repair in CT and catch basin cleaning in CT, Connecticut plowing services, driveway seal coating CT and crack repair in Hartford. We are a complete asphalt maintenance company specializing in street sweeping, litter sweeping, asphalt repair, curb replacement, crack repair, sealing, and line striping. We would like to offer our personal assistance with any questions you may have regarding our services. Northeast Asphalt Maintenance Co is licensed and insured with over 20 years experience. We have the right equipment, hard working employees, and dedication to handle your job requests. Our prices are very reasonable and our quality is guaranteed. Free estimates and references are available upon request. We hope to be doing business with you in the very near furture. and catch basin cleaning in CT also Connecticut plowing services, driveway seal coating CT and crack repair in Hartford. © 2009 Northeast Asphalt Maintenance Company, all rights reserved. Website powered by NorthernLogics & TopSpot Ranking.